The law firm of Riegler & Berkowitz have professional local Jericho personal injury attorneys to represent you, your family and friends in the surrounding areas of Long Island New York. Our veteran personal injury lawyers provide legal representation to those injured, physically and psychologically, as a result of car accidents, bike accidents, truck accidents, slip and fall, including sidewalk and other premises accidents, construction site accidents, defective products, wrongful death, dog bites, medical malpractice, and other types of accidents. After an accident it is crucial that you consult one of our Jericho personal injury lawyers who is experienced with New York accident cases as soon as possible. Riegler & Berkowitz will protect your rights and offers free initial consultations to our Jericho personal injury clients. We will work on a contingency basis and you will owe no fees unless we obtain a recovery for you and this is not due until the conclusion of your case. Our Personal Injury Lawyers Jericho are all knowledgeable in a wide variety of personal injury cases in Long Island New York, and at Riegler & Berkowitz we get our Jericho clients the results they expect and deserve, while helping you more fully understand your legal rights and options, please remember New York is a No-Fault insurance state. If you or a loved one has been injured due to someone else’s negligence, or even if you have questions about an injury you suffered in a Long Island area accident contact us for more information about our Jericho Personal Injury Law firm call 631-608-4114 today. Riegler & Berkowitz the Jericho real estate attorneys are here for you whether you are a buyer or seller of residential and commercial real estate you need to work with an attorney to negotiate the terms of agreement; draft and review the contract; review related paperwork (such as loan agreements etc. ); clear existing liens on a property; and attend the closing. Learn more about Jericho Suffolk County real estate law and what the real estate lawyers at Riegler & Berkowitz can do for you. At Riegler & Berkowitz we offer Jericho criminal lawyers 24/7 with a RISK FREE consultation. 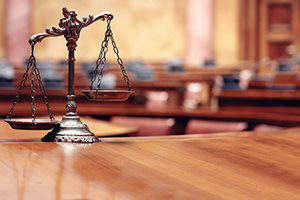 We are a recognized Long Island criminal attorney practice with offices located in Melville NY, and if you’ve been arrested and charged with a crime, you’ll need a qualified criminal attorney immediately for legal representation and defense.